"Scientists are interested in the composition of Bennu because similar objects may have seeded the Earth with water and organic materials," said SwRI's Dr. Victoria Hamilton, a mission co-investigator and lead author of a paper outlining the discovery published March 19 in Nature Astronomy. "OSIRIS-REx data confirm previous ground-based observations pointing to aqueously altered, hydrated minerals on the surface of the asteroid." The geological characteristics of Bennu's surface indicate that it is an old rubble pile of gravitationally bound, unconsolidated fragments, left over from an ancient collision in the asteroid belt. 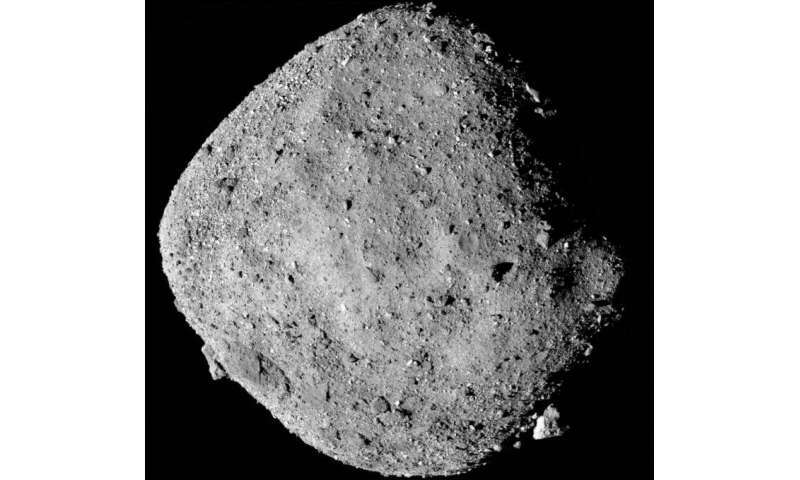 These and future, higher-resolution spectral observations from OSIRIS-REx will provide vital context for analyzing the returned sample to evaluate the aqueous alteration experienced by Bennu's parent body based on details of mineral distribution, abundance and composition.